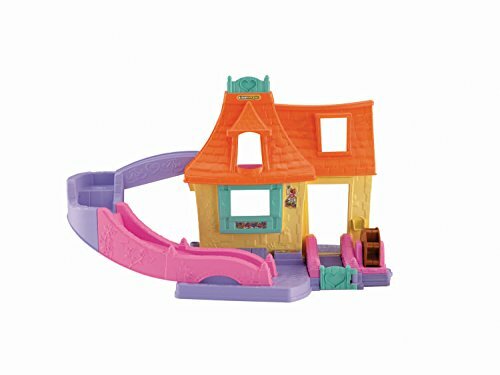 Klip Klop Fun & So Much More! 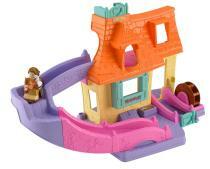 Little People Belle’s Cottage Klip Klop Play Set, with its kitchen and library (of course! 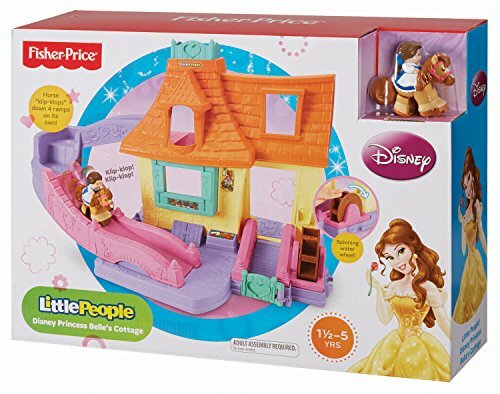 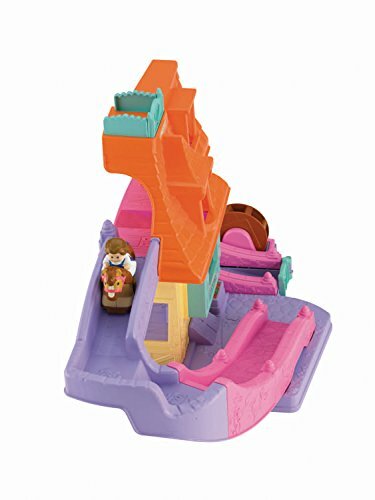 ), looks like it came right out of Belle’s little town in the Disney classic “Beauty and the Beast.” Join Belle and her trusty horse Philippe in their cozy cottage that features four different ramps for them to “klip-klop” down, and even a spinning water wheel and trough where Philippe can drink. 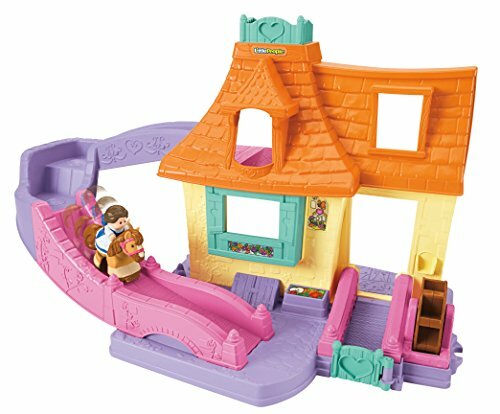 Send Belle “klip-klopping” down the front ramp to greet you and she’ll even open the door. 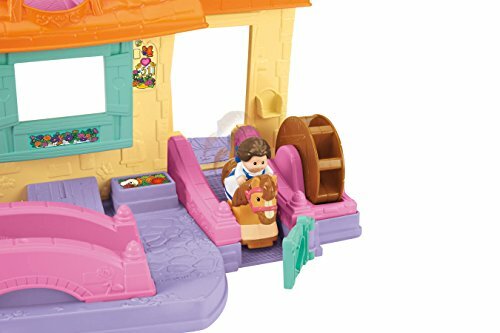 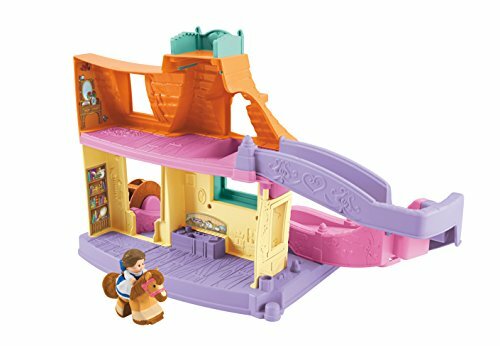 The back of the play set also offers plenty of imaginative play with a kitchen and library to live out the story of Belle. 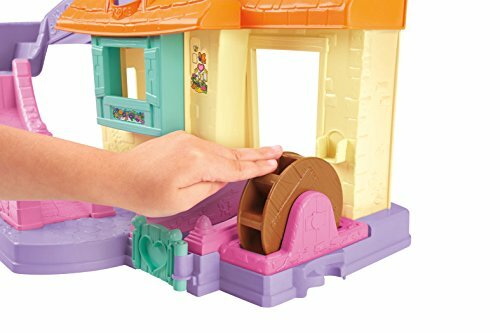 And, there’s extra action when you spin the water wheel, then bring Belle’s thirsty horse to the trough for a drink. 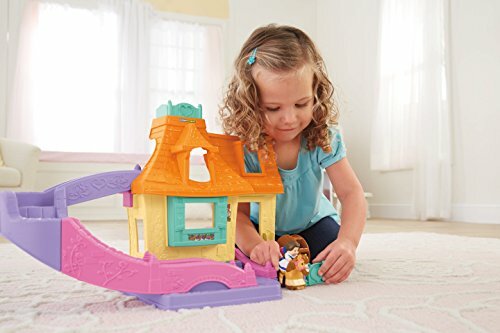 Curiosity is sparked as little princesses watch Belle and Philippe “klip-klop” down different ramps all on their own. 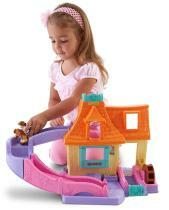 “Klip-klopping” also helps eye-hand coordination as little ones set Philippe up on the ramp, then tap his tail. 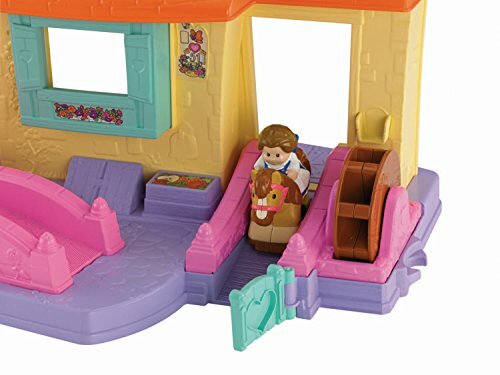 Grasping and moving Belle and her horse around the cottage sharpens coordination and promotes physical activity. 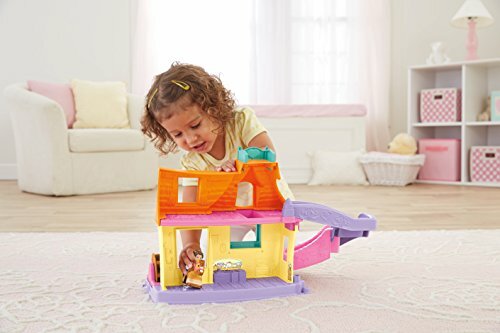 Watching their faces light up as they explore, discover, play… all those moments when children learn best. 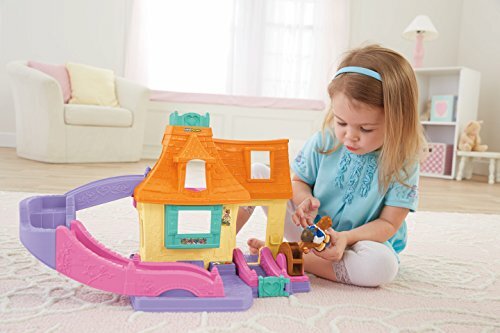 That’s why Fisher-Price builds learning into everything we make. 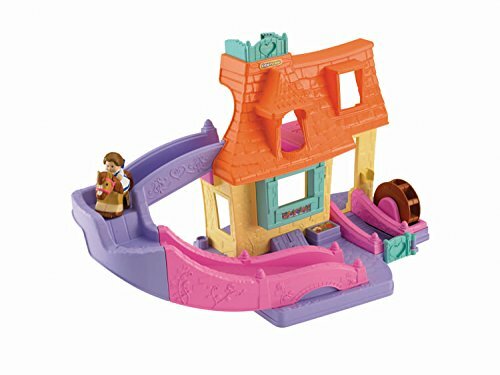 With playful ways to engage curious minds, exercise little bodies, and nurture budding personalities. 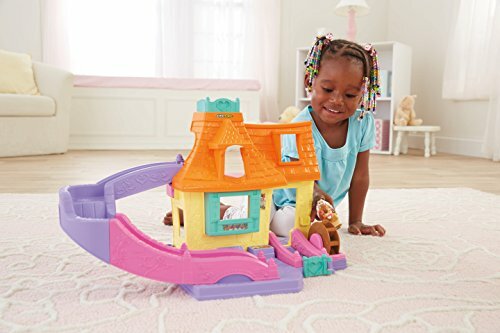 Because nothing’s more amazing than sharing the joy of learning with your child. 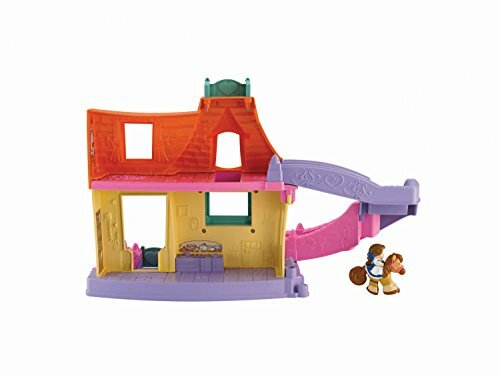 Features two different areas of play: ramps in front and a kitchen and library in back.